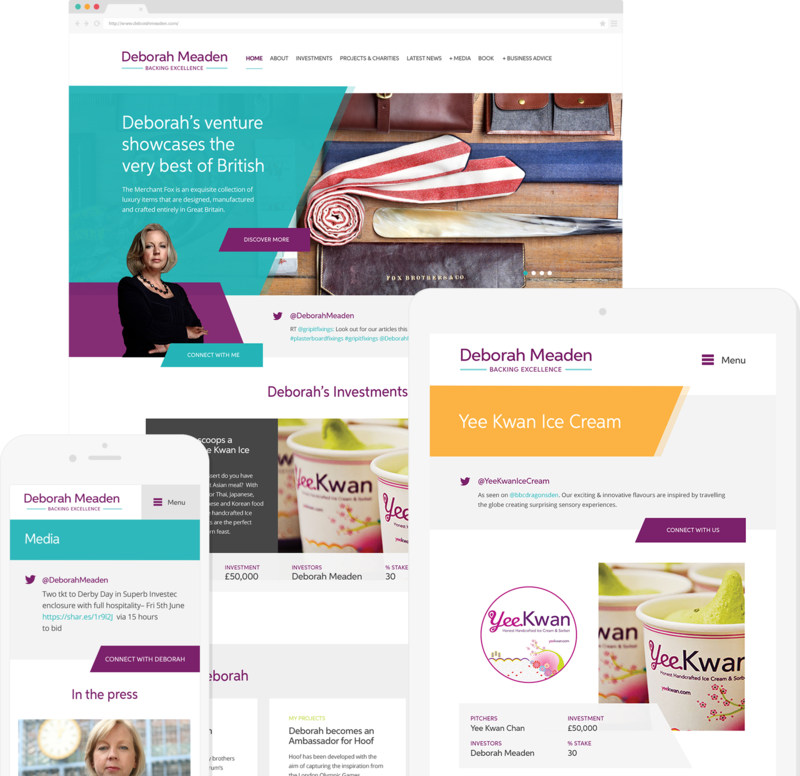 Deborah's requirements were to provide a media-rich website, showcasing her investments, projects and latest news. A face lift to her out of date website was the first stage, our designers were to utilise existing branding and content to come up with a vibrant look to suit her needs. The website was required to focus on interesting imagery and video to showcase and promote her many investments and charities she is involved with. It really has been a pleasure to work with a company that shares my passion for excellence in business and I look forward to working with you again in the future.